It was the first time that German’s AV-Test had tested Google Play, and showed how it results proved to be a disappointment. This only proved the theory that Google play had to use third-party AV solution to protect their Android device. Going further, we tried to find the best 10 antivirus for android which is listed below. 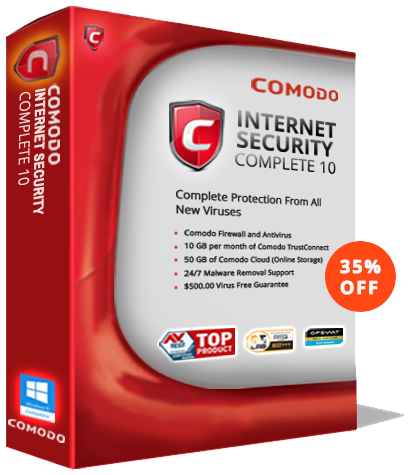 The Antivirus for Android solution from Comodo is a remarkable Mobile Antivirus that protects your privacy and keeps your system optimized. Mobile antivirus helps to protect the personal information of the user like photos, videos personal contacts and much more. Comodo’s Antivirus Software offers a 98.77 percent significant rate of detection of malicious mobile threats. The Comodo Mobile Security restricts unauthorized calls, prevents the attack of ransomware, obstructs banking Trojans from accessing or stealing of your Android device data. AhnLab V3 Mobile Security scores 99.8 percent and stands tall among all the player in the industry. It has less effect on the battery and doesn’t hang the mobile device while in process. The best so far when it comes to alert the user of any potential threat and detection for Google app as well third party app-stores. One can sure of getting an alert on phishing attack and malicious websites. The only drawback is the anti-theft feature, and remote wipe. This is the second best in Android protection and detection of threat. Again, this has very less impact on the battery and has zero false warning when it comes to installation of Google and other third-party apps. AVL can ensure the users of safe browsing and also has the ability to block unwanted calls from your likes. Again, this has no anti-theft features or remote locking. The newest Android threat discovered in the recent times is Bitdefender’s Android malware detection, which is 100 percent. This has less load on the battery life and zero warning on false installation. The thing that stands different from the above is that Bitdefender comes with anti-theft security, which includes remote lock, wipes, and access. The browsing is kept safe. You can also ensure filtering messages. There are few premium features like app lock, account privacy, and privacy advisor. Cheetah Mobile security 4.2 is the most robust and strong Android malware detection to start with. The heavy app is less on the device and it doesn’t slow down the process. Zero false warning works here and will alert the user to using the app from Google Play or other app stores. The app provides anti-theft features, with remote locking, wipe and access features. It can block unwanted calls from unknown numbers. The power boost and other additional features like WiFi security have not been tested yet. This makes a very special AV software because it has more features than many other AV. AV-TEST checked the boxes for remote lock, wipe, and locate; call blocking; message filtering; safe browsing; parental control; and support for all encryption. The only ‘x’ the app received was for not enabling personal data to be saved to an SD card or cloud storage. Kaspersky has maintained to be in the league in spite of all that controversy with the US Federal department and has proved to be 99.8 percent accurate when it comes to prevention and detection of viruses. Again, this app has less impact on the battery life and doesn’t slow down the performance of the device. You have remote locking, wiping and access can be locked, unwanted calls can be blocked, safe browsing. McAfee Version 4.9 Mobile Security has always stood the test of time and this time again, it scores in the Android division with 99.9 percent performance. In recent times it has even detected recent bugs. The app is stronger compared to the above AVs. Again here the additional features are under test, which includes battery optimizer and app lock. Norton Mobile Security Version 3.21, again one of the best brand doing has a place here in the top 10 AVs. It has all the features of the above apps and also protects the SD card data. The additional features are tested, which includes app advisor, and privacy control. Norton is the best because it has a 100 percent rating when it comes to detecting recent bugs. The performance is at par and puts up a very minimal load on the device battery. Trend Micro’s Mobile Security checks come with all the best features in a package. Anti-theft, blocking text message, call blocking, safe browsing and anti-phishing protection, privacy scanner, parental control and network protection. With 100 percent detection rate the app has a 100 percent detection rate for new malware in real-time as well as for the recent malware. No pressure on the battery and performance and zero false warnings.